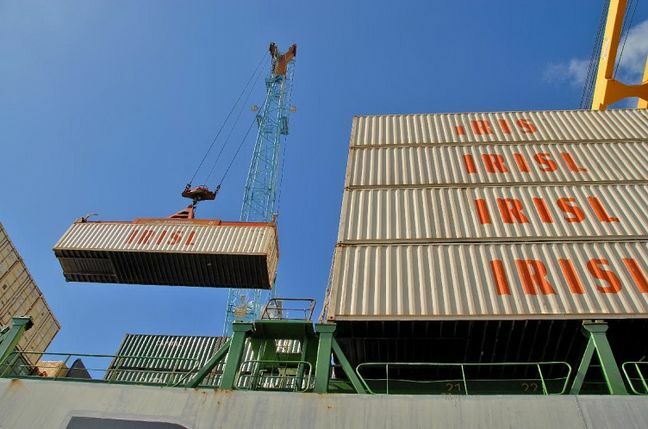 EghtesadOnline: The first quarter of the current Iranian year (March 21-June 21) saw exports and imports in dollar terms of “Fishing” sector register the most remarkable changes, the Statistical Center of Iran reported. The sector’s exports grew by 47.48% in dollar terms compared with the same period of last year while they fell by 13.49% compared with the previous quarter, while imports in dollar terms of the sector rose by 46.99% compared with the similar period of last year while they fell by 10.43% over the previous quarter. Exports in dollar terms by “Agriculture, Hunting and Forestry” sector rose by 26.84% year-on-year while they decreased by 24.29% compared with the quarter before. Imports in dollar terms of this sector grew by 6.93% YOY and 7.53% over the previous quarter. “Industries” sector’s exports in dollar terms increased by 18.53% YOY while they decreased by 6.38% over the previous quarter. This is while the sector’s imports decreased by 8.79% YOY and 30.08% over the Q4 of last year, according to Financial Tribune. Exports in dollar terms by “Mineral Extraction” sector grew by 6.23% YOY while they declined by 46.16% over the preceding quarter. The sector’s imports grew by 36.12% YOY and dropped by 13.12% compared with the previous quarter. According to the Islamic Republic of Iran Customs Administration, Iran’s non-oil foreign trade during the first three months of the current fiscal year (started March 21) stood at $22.87 billion, indicating a nearly 5.8% rise compared with last year’s corresponding period. Exports hit 27.88 million tons worth $11.61 billion, indicating a 15.58% increase in value, as imports amounted to 8.37 million tons worth $11.25 billion, down 2.76% in value YOY. A total of 6.5 million tons of petrochemicals worth $3.5 billion were exported in the first quarter to register a rise of less than 1% in value compared with the same quarter of last year. Petrochemical products accounted for more than 30% of Iran’s overall non-oil exports in Q1. Exports of gas condensates stood at $1.55 billion or 13% of total exports, posting more than a 2.5% decline YOY. Other main exports categorized in this group included liquefied propane ($534 million accounting for more than 4.5% of total exports), light oils except gasoline ($409 million or more than 3.5% of total exports), polyethylene ($306 million or 3% of total exports) and liquefied petroleum gases ($304 million). Exports of products classified within the so-called “others” group amounted to 18.38 million tons worth $6.55 billion, accounting for more than 56% of total non-oil exports. China, the UAE, Iraq, Afghanistan and South Korea were the main customers of Iranian products in Q1. Major exporters to Iran in the first quarter included China with $2.93 billion, the UAE with $1.69 billion, South Korea with $712 million, Germany with $573 million and Turkey with $551 million. The average price of each ton of exported commodities hovered around $417, up 17% compared with last year’s corresponding period. The average price of each ton of imported commodities hovered around $1,344, up 0.5% compared with last year’s same period.